ATLANTA, Nov. 7, 2018 /PRNewswire/ -- Southern Company today reported third-quarter 2018 earnings of $1.16 billion, or $1.14 per share, compared with earnings of $1.07 billion, or $1.07 per share, in the third quarter of 2017. For the nine months ended September 30, 2018, Southern Company reported earnings of $1.95 billion, or $1.92 per share, compared with earnings of $347 million, or 35 cents per share, for the same period in 2017. 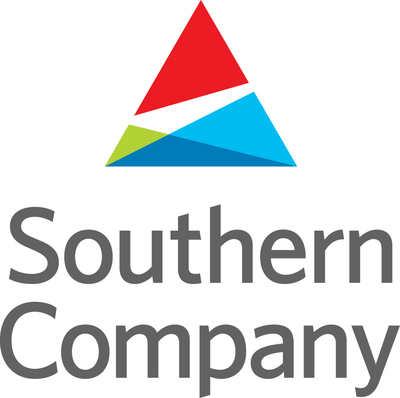 Southern Company's third quarter earnings slides with supplemental financial information are available at http://investor.southerncompany.com. Southern Company's financial analyst call will begin at 8 a.m. Eastern Time today, during which Fanning and Chief Financial Officer Andrew W. Evans will discuss earnings and provide a general business update. Investors, media and the public may listen to a live webcast of the call and view associated slides at http://investor.southerncompany.com/webcasts. A replay of the webcast will be available on the site for 12 months. Southern Company (NYSE: SO) is America's premier energy company, with 46,000 megawatts of generating capacity and 1,500 billion cubic feet of combined natural gas consumption and throughput volume serving 9 million customers through its subsidiaries, as of December 31, 2017. We operate nearly 200,000 miles of electric transmission and distribution lines and more than 80,000 miles of natural gas pipeline, as of December 31, 2017. The company provides clean, safe, reliable and affordable energy through electric operating companies in four states, natural gas distribution companies in four states, a competitive generation company serving wholesale customers in 11 states across America and a nationally recognized provider of customized energy solutions, as well as fiber optics and wireless communications. Southern Company brands are known for excellent customer service, high reliability and affordable prices that are below the national average. Through an industry-leading commitment to innovation, Southern Company and its subsidiaries are creating new products and services for the benefit of customers. We are building the future of energy by developing the full portfolio of energy resources, including carbon-free nuclear, advanced carbon capture technologies, natural gas, renewables, energy efficiency and storage technology. Southern Company has been named by the U.S. Department of Defense and G.I. Jobs magazine as a top military employer, recognized among the Top 50 Companies for Diversity and the number one Company for Progress by DiversityInc, and designated as one of America's Best Employers by Forbes magazine. Visit our website at www.southerncompany.com. (1) For the three and nine months ended September 30, 2018 and 2017, dilution does not change basic earnings per share by more than 1 cent and is not material. (2) Earnings for the three and nine months ended September 30, 2018 and 2017 include charges and associated legal expenses related to Mississippi Power Company's integrated coal gasification combined cycle facility project in Kemper County, Mississippi (Kemper IGCC). Earnings for the nine months ended September 30, 2018 also include a $1.1 billion charge ($0.8 billion after tax) for an estimated probable loss on Georgia Power Company's construction of Plant Vogtle Units 3 and 4. These charges significantly impacted the presentation of earnings and earnings per share. Additional pre-tax cancellation costs of up to $30 million for Mississippi Power Company's Kemper IGCC may occur through the first half of 2020. Further charges for Georgia Power Company's Plant Vogtle Units 3 and 4 may occur; however, the amount and timing of any such charges is uncertain. (3) Earnings for the nine months ended September 30, 2017 include a $32.5 million write-down ($20 million after tax) of Gulf Power Company's ownership of Plant Scherer Unit 3 as a result of its 2017 retail rate case settlement. Further charges are not expected. (4) Earnings for three months ended September 30, 2018 primarily include: (i) a combined $351 million pre-tax ($38 million after-tax) gain on the sales of Elizabethtown Gas, Elkton Gas and Florida City Gas; and (ii) $25 million pre-tax ($18 million after-tax) of other acquisition, integration and disposition costs. Earnings for the nine months ended September 30, 2018 primarily include: (i) a net combined $317 million pre-tax gain ($35 million after-tax loss) on the sales of Elizabethtown Gas, Elkton Gas, Florida City Gas and Pivotal Home Solutions; (ii) a $42 million (pre-tax and after-tax) goodwill impairment charge associated with the sale of Pivotal Home Solutions; (iii) a $119 million pre-tax ($89 million after-tax) impairment charge associated with the disposition of Plants Stanton and Oleander; and (iv) $63 million pre-tax ($46 million after-tax) of other acquisition, integration and disposition costs. The gain/loss calculations for the four Southern Company Gas dispositions are expected to be finalized in the fourth quarter 2018. Further costs are expected to continue to occur prior to the expected closings of pending dispositions in the first quarter of 2019; however, the amount of such expenditures is uncertain. Further costs are also expected to continue to occur in connection with the integration of Southern Company Gas; however, the amount and duration of such expenditures is uncertain. (5) Earnings for the three and nine months ended September 30, 2018 and 2017 include the Wholesale Gas Services business of Southern Company Gas. Presenting earnings and earnings per share excluding Wholesale Gas Services provides investors with an additional measure of operating performance that excludes the volatility resulting from mark-to-market and lower of weighted average cost or current market price accounting adjustments. (6) Earnings for the nine months ended September 30, 2018 include the settlement proceeds of Mississippi Power Company's claim for lost revenue resulting from the 2010 Deepwater Horizon oil spill in the Gulf of Mexico. Further proceeds are not expected. (7) Earnings for the nine months ended September 30, 2017 include allowance for funds used during construction (AFUDC) equity as a result of extending the Kemper IGCC construction schedule beyond November 30, 2016, as assumed when Southern Company issued its 2017 guidance. As a result, Southern Company believes presentation of earnings per share excluding these amounts provides investors with information comparable to guidance. Management also used such measures to evaluate Southern Company's 2017 performance. AFUDC equity ceased in connection with the project's suspension in June 2017. (8) Earnings for the nine months ended September 30, 2018 include additional net tax benefits as a result of implementing federal tax reform legislation, which was signed into law on December 22, 2017. During this period, Southern Company obtained and analyzed additional information that was not initially available or reported as provisional amounts at December 31, 2017. Additional adjustments are expected until Southern Company's 2017 federal income tax return is complete and provisional estimates are actualized during the measurement period ending December 31, 2018. Southern Company believes presentation of earnings per share excluding these amounts provides investors with information comparable to guidance. Management also uses such measures to evaluate Southern Company's performance. Earnings for the nine months ended September 30, 2017 include allowance for funds used during construction (AFUDC) equity as a result of extending the Kemper IGCC construction schedule beyond November 30, 2016, as assumed when Southern Company issued its 2017 guidance. As a result, Southern Company believes presentation of earnings per share excluding these amounts provides investors with information comparable to guidance. Management also used such measures to evaluate Southern Company's 2017 performance. AFUDC equity ceased in connection with the project's suspension in June 2017. (7) Earnings for the nine months ended September 30, 2018 include additional net tax benefits as a result of implementing federal tax reform legislation, which was signed into law on December 22, 2017. During this period, Southern Company obtained and analyzed additional information that was not initially available or reported as provisional amounts at December 31, 2017. Additional adjustments are expected until Southern Company's 2017 federal income tax return is complete and provisional estimates are actualized during the measurement period ending December 31, 2018. Southern Company believes presentation of earnings per share excluding these amounts provides investors with information comparable to guidance. Management also uses such measures to evaluate Southern Company's performance. (1) Earnings for the three and nine months ended September 30, 2018 and 2017 include charges and associated legal expenses related to Mississippi Power Company's integrated coal gasification combined cycle facility project in Kemper County, Mississippi (Kemper IGCC). Earnings for the nine months ended September 30, 2018 also include a $1.1 billion charge ($0.8 billion after tax) for an estimated probable loss on Georgia Power Company's construction of Plant Vogtle Units 3 and 4. These charges significantly impacted the presentation of earnings and earnings per share. Additional pre-tax cancellation costs of up to $30 million for Mississippi Power Company's Kemper IGCC may occur through the first half of 2020. Further charges for Georgia Power Company's Plant Vogtle Units 3 and 4 may occur; however, the amount and timing of any such charges is uncertain. (2) Earnings for the nine months ended September 30, 2017 include a $32.5 million write-down ($20 million after tax) of Gulf Power Company's ownership of Plant Scherer Unit 3 as a result of its 2017 retail rate case settlement. Further charges are not expected. (3) Earnings for three months ended September 30, 2018 primarily include: (i) a combined $351 million pre-tax ($38 million after-tax) gain on the sales of Elizabethtown Gas, Elkton Gas and Florida City Gas; and (ii) $25 million pre-tax ($18 million after-tax) of other acquisition, integration and disposition costs. Earnings for the nine months ended September 30, 2018 primarily include: (i) a net combined $317 million pre-tax gain ($35 million after-tax loss) on the sales of Elizabethtown Gas, Elkton Gas, Florida City Gas and Pivotal Home Solutions; (ii) a $42 million (pre-tax and after-tax) goodwill impairment charge associated with the sale of Pivotal Home Solutions; (iii) a $119 million pre-tax ($89 million after-tax) impairment charge associated with the disposition of Plants Stanton and Oleander; and (iv) $63 million pre-tax ($46 million after-tax) of other acquisition, integration and disposition costs. The gain/loss calculations for the four Southern Company Gas dispositions are expected to be finalized in the fourth quarter 2018. Further costs are expected to continue to occur prior to the expected closings of pending dispositions in the first quarter of 2019; however, the amount of such expenditures is uncertain. Further costs are also expected to continue to occur in connection with the integration of Southern Company Gas; however, the amount and duration of such expenditures is uncertain. (4) Earnings for the three and nine months ended September 30, 2018 and 2017 include the Wholesale Gas Services business of Southern Company Gas. Presenting earnings and earnings per share excluding Wholesale Gas Services provides investors with an additional measure of operating performance that excludes the volatility resulting from mark-to-market and lower of weighted average cost or current market price accounting adjustments. (5) Earnings for the nine months ended September 30, 2018 include the settlement proceeds of Mississippi Power Company's claim for lost revenue resulting from the 2010 Deepwater Horizon oil spill in the Gulf of Mexico. Further proceeds are not expected. (6) Earnings for the nine months ended September 30, 2018 include additional net tax benefits as a result of implementing federal tax reform legislation, which was signed into law on December 22, 2017. During this period, Southern Company obtained and analyzed additional information that was not initially available or reported as provisional amounts at December 31, 2017. Additional adjustments are expected until Southern Company's 2017 federal income tax return is complete and provisional estimates are actualized during the measurement period ending December 31, 2018. Southern Company believes presentation of earnings per share excluding these amounts provides investors with information comparable to guidance. Management also uses such measures to evaluate Southern Company's performance. (1) Includes total customers of approximately 404,000 at September 30, 2017 related to Elizabethtown Gas, Elkton Gas, and Florida City Gas, which were sold in July 2018.